The conveyor belt of Egyptian squash talent continues to roll, with Mohamed El Shorbagy succeeding Ramy Ashour as the Men's Junior World Champion. It is worth noting that Egypt and Pakistan had 7 players between them in the last 16 of the competition, with only one player from England (traditionally strong in providing junior talent) - Adrian Waller - making it to the same round. 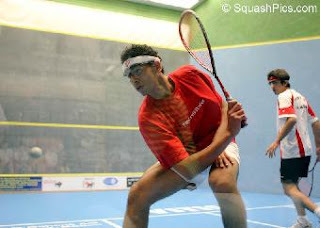 Waller eventually lost in the quarter finals to Nicolas Mueller, the third seed from Switzerland, who subsequently took Shorbagy to five games in the semis. The 18 year-old Swiss player has had three significant U19 title wins this year, and already is his country's top-ranked squash player.